This is a comprehensive Traineeship , which takes well beyond a basic Instructor certification. Using the comprehensive resources at our disposal at our 2 PRO DIVE Sydney Centres, Award winning Dive Charter Boat Sea Life V, Sydney’s largest Service Centre and Hydrostatic Test Station and Licensed Travel Agency, you get experience in every aspect of the Dive industry and beyond – Retail – Tourism – Recreation – Education. 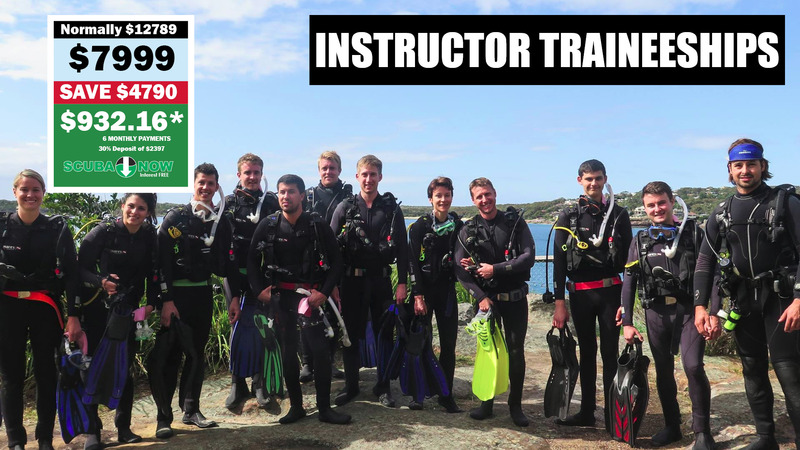 With this training you become a true professional with all the skills and certificates to enter a career in the scuba diving industry with PRO DIVE or other Dive Centers, with the knowledge and experience of real hands on training form the best in the business. Time based primarily on weekends. You must be a certified Advanced Openwater Diver and be 18 years of age before you can be certified a Divemaster.